Cynthia McKinney, who spent 12 years as a Representative in the US Congress, says that most of the problems facing America today are caused by what is called The Deep State, an unelected bureaucracy that has become the hidden government. She also speaks out against Identity Politics in which classes, races, and cultures are encouraged by the Deep State to clash against each other, an age-old strategy of divide and conquer. She will expand on these themes at the Red Pill Expo scheduled for June 21–23 in Spokane, Washington. 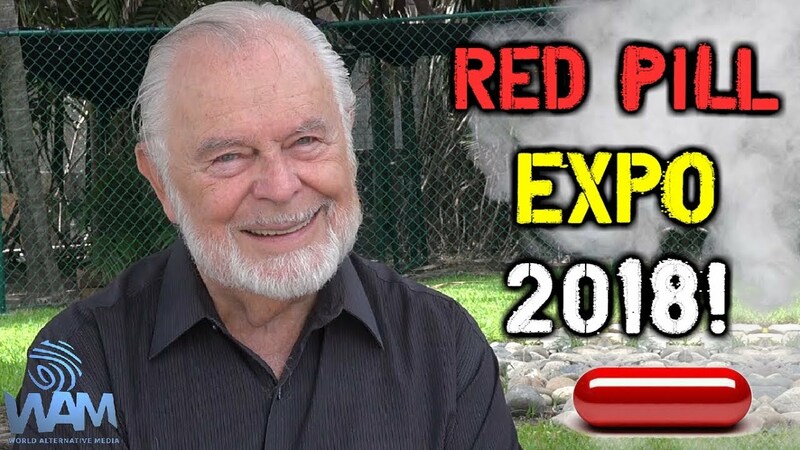 Cynthia is one of thirty-five presenters at the Red Pill Expo who are prepared to challenge our worldview on many issues that profoundly affect our lives. We asked her to summarize her message in three minutes or less. She did it in two. Use our coupon code and save money! You can roll back all Expo prices to First-Responder level by entering the word ‘griffin’ as the coupon code at the last stage of placing an order for attendance or livestream. When you first access the order form, a higher price will appear by default. However, when you enter ‘griffin’ as your coupon code, the applied price will be reduced 15%. On the web site, click the BUY TICKETS tab. The discount code is: griffin. Works for attendance or livestream. Please check out her page, yes? Cynthia’s remarkable journey across the political spectrum from the “Left” to the “Right” has brought her to the higher ground which hovers over the both, and has sharpened her wisdom and revealed to her the importance of the individual in today’s world. Indeed, as Cynthia last year won her Ph.D., sitting on her Ph.D. committee was none other than Peter Dale Scott, author of “The American Deep State“. Deep State? Cynthia McKinney knows much about that. A six-term Congresswoman, she has been in the vortex where global power brokers convene. Cynthia knows how things work in secrecy. She has observed the tactics of the elite who control governments around the world, and now works to awaken individuals to the need to withdraw from the matrix, walk away from the false “Left-Right” paradigm pushed so fervently by the fake media and rogue “perpetual war” government, and claim individual authority with personal responsibility by uniting in peace and love as human beings. She is in perfect tune with the message of The Mental Militia, and with the Red Pill University. I am very proud of her upcoming appearance at G. Edward Griffin’s Red Pill Expo in Spokane. I am looking forward to finally getting to meet Cynthia McKinney in person at the Red Pill Expo. That is one reason why I will be at the Red Pill Expo, but here is Mr. Griffin to explain why everyone should be there. Allow me to remind you that I once joined the US Marine Corps to go invade a foreign nation on behalf of the Corporate Dynasty at Wall Street and Washington D.C.
After my time at war I discovered that I had helped the Federal government commit an atrocious international war crime, so I became an anti-war activist. Also, I invite you to scroll her landing page at TMM to see for yourself that she is now fully in our camp, and brings a powerful following with her.